Turbine has announced that the future of Asheron’s Call is set to be a rather quiet one unless members of the community come forward to help deliver new content. In a statement issued on the official forums Asheron’s Call Producer Severlin explained that the game will shortly be entering a “maintenance mode” that will see the team working solely on bug fixes, balance problems and technical support for the game. However they will no longer be offering any content updates. It’s no surprise that Asheron’s Call’s journey in the MMO world is coming to a close as it was originally released under Microsoft in 1999. However there is a small ray of hope that could give the existing player base better news in the future. Turbine are currently exploring the potential for player owned servers, including the ability to add new features and expand on current content. 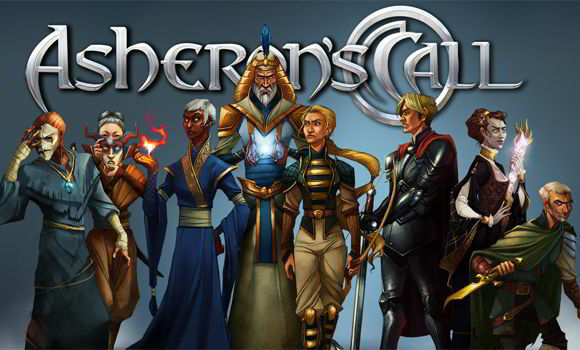 players who want to run their own Asheron’s Call servers. Severlin went on to explain that the system would not be user friendly and any interested parties would need experience working with SQL servers and networks. It’s unclear whether the community will step up to the plate but a game that’s almost 15 years old that still charges for access must have developed quite the following to survive this long.